Properly dried channels reduce the risk of infection. 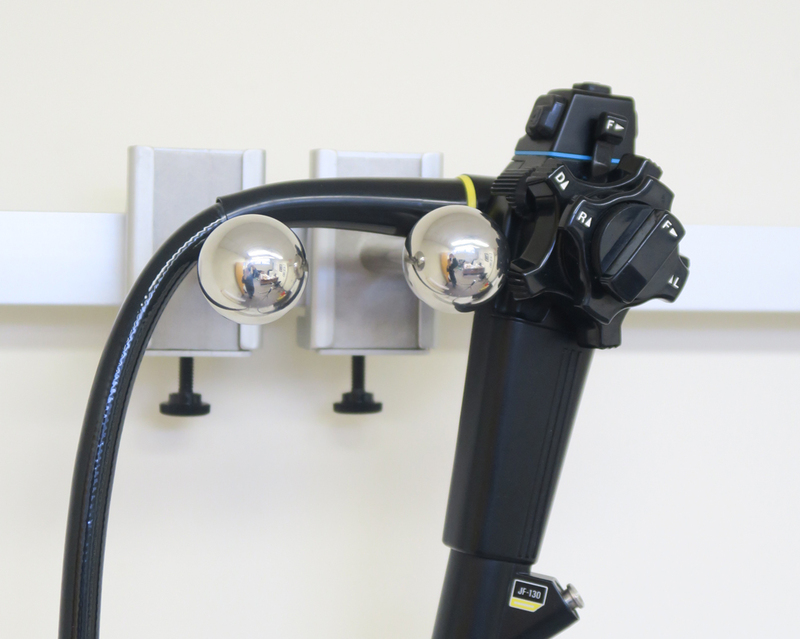 Studies indicate there is a strong correlation between moisture and microbe colonization within flexible endoscopes. 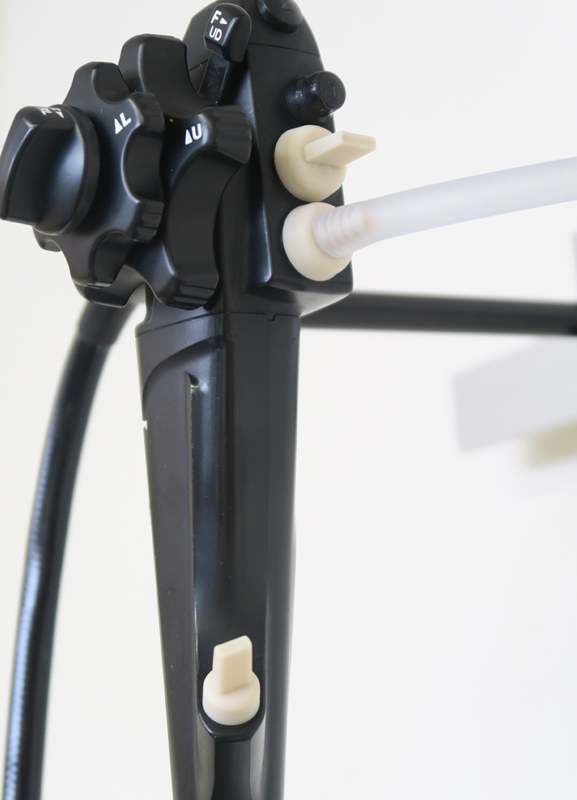 The Airtime Instrument Channel Dryer dries flexible endoscope channels, as well as channels in other cannulated surgical instruments. 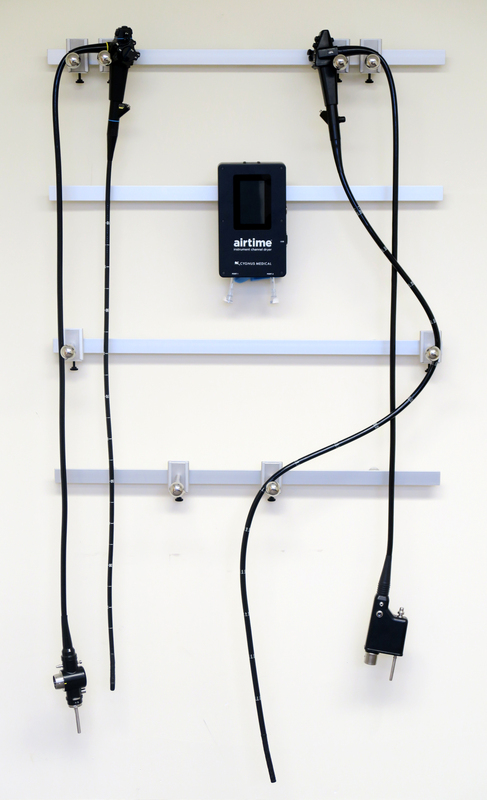 A scope removed from the AER can be dried quickly, so it will not be stored, or put into immediate use, with wet channels. 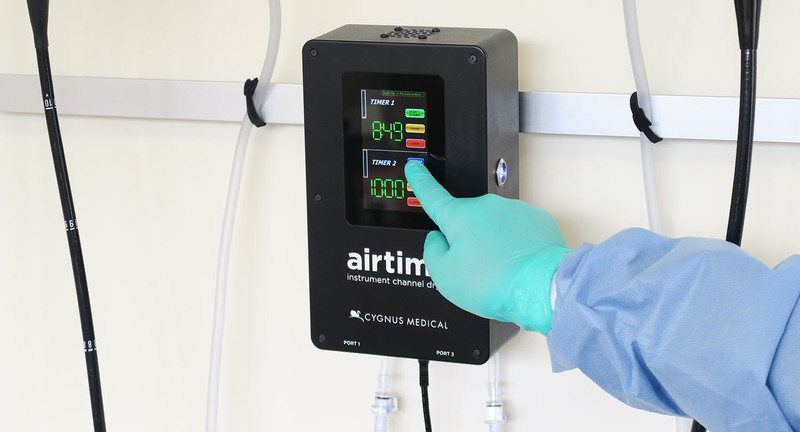 Airtime uses .01 micron HEPA filtered air to dry endoscope air/water, suction, and auxiliary water channels after automated reprocessing. 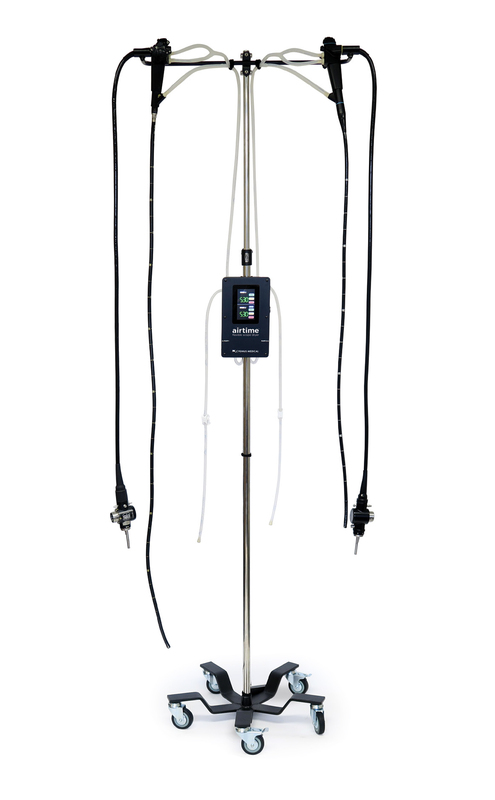 Uses two independent pumps and timers that will dry two scopes simultaneously. 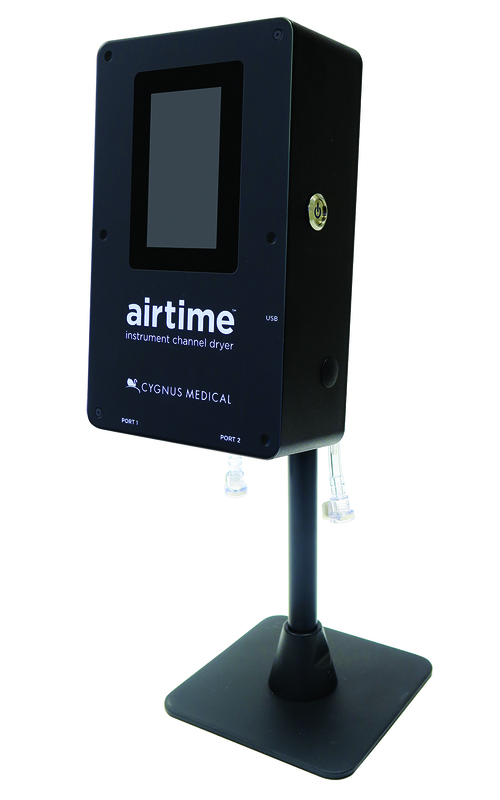 Airtime’s dual screen allows for two scopes to be dried with independent start and stop times. 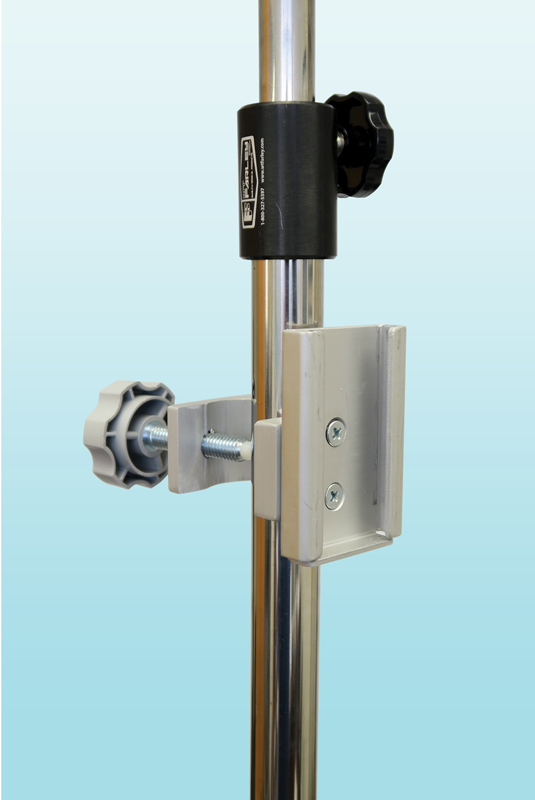 Line pressure channel sensors will immediately shut off the Airtime pump and alert the user of a potentially clogged channel. 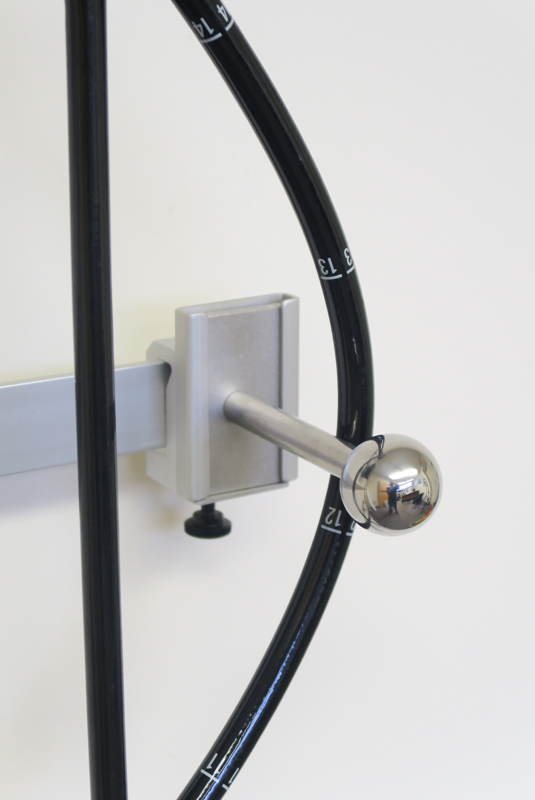 Line pressure levels can be changed to accommodate various instruments. 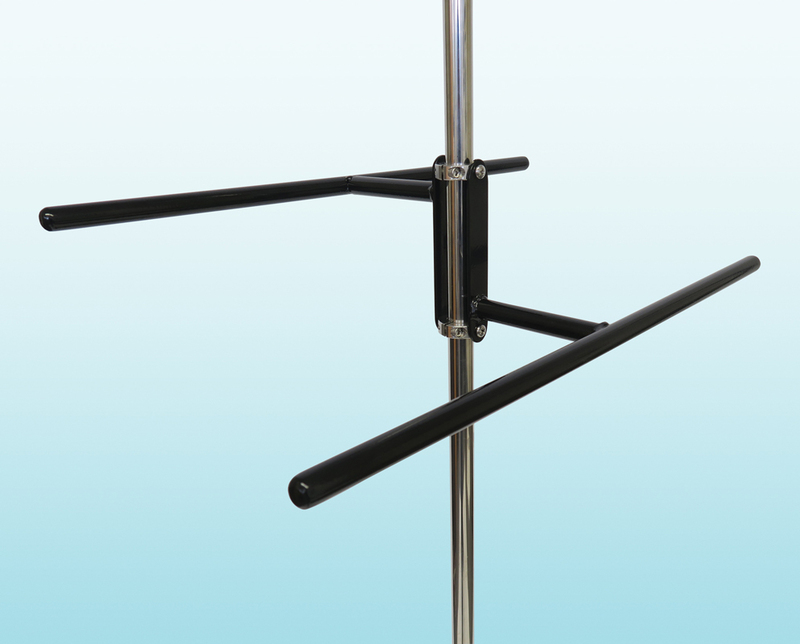 Options: On a counter stand, wall rail installation, or IV pole installation. 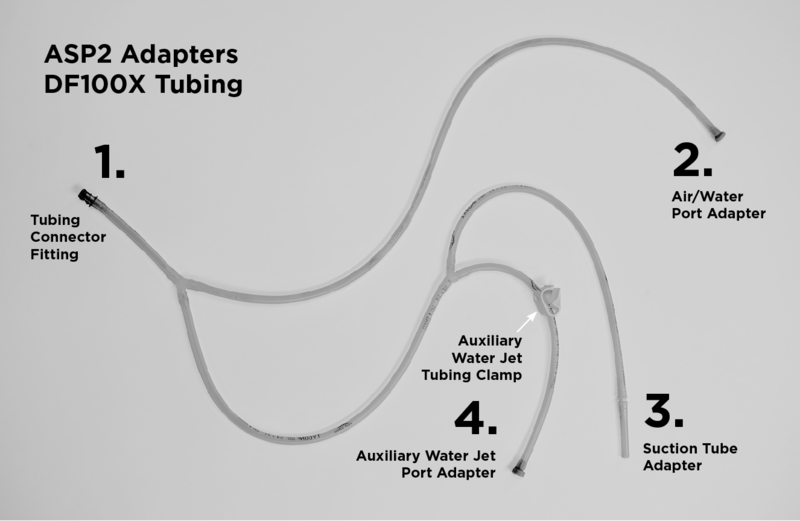 Airtime tubing and adapter sets provide maximum flow rate and reduced drying times for a variety of instrument types. To reduce the risk of cross-contamination between instruments, tubing sets are changed monthly, and adapter sets are changed after each use. Monthly tubing and adapter sets are available for vertical and horizontal channel drying. Small diameter scopes and instruments: bronchoscopes, intubation, urology, ENT, robotic surgical arms, shavers, and other cannulated instrumentation. 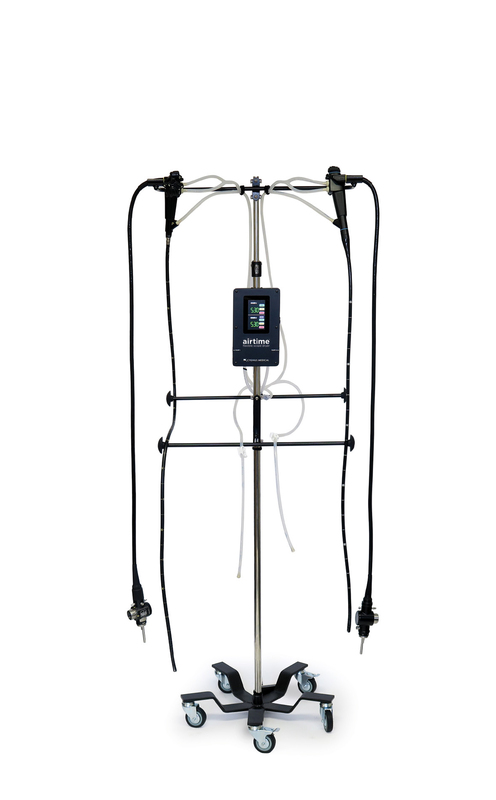 Compatible with Olympus, Pentax, Fuji, Storz, ACMI, and Intuitive Surgical. Proper installation requires wall space that is 3' 6” wide by 80” high. The system will hold two scopes and one Airtime Control Unit. 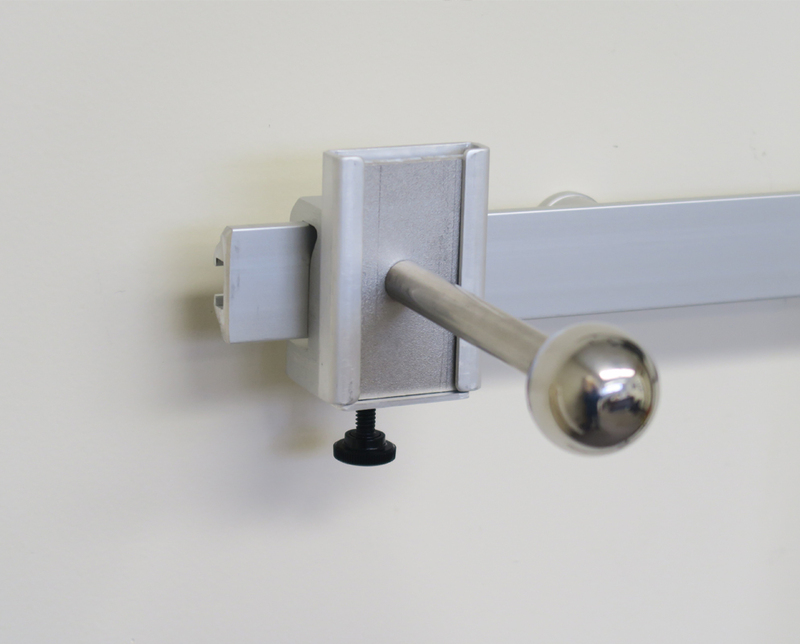 The system includes four – 3 foot rails with white end caps, 12 wall mounting anchor kits, 9 universal wall rail brackets and 8 positioning bars. 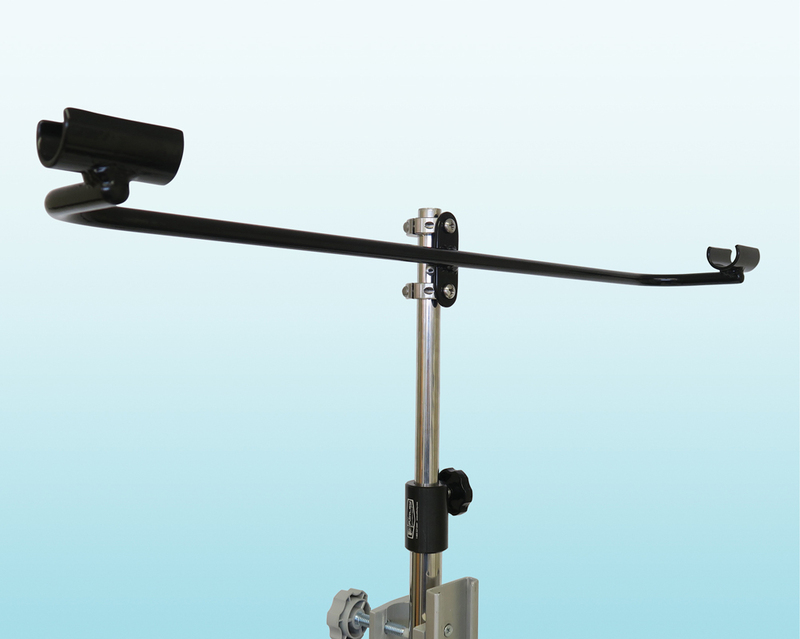 The positioning bars are used for holding the scope and for height reduction. Use to make height adjustments. 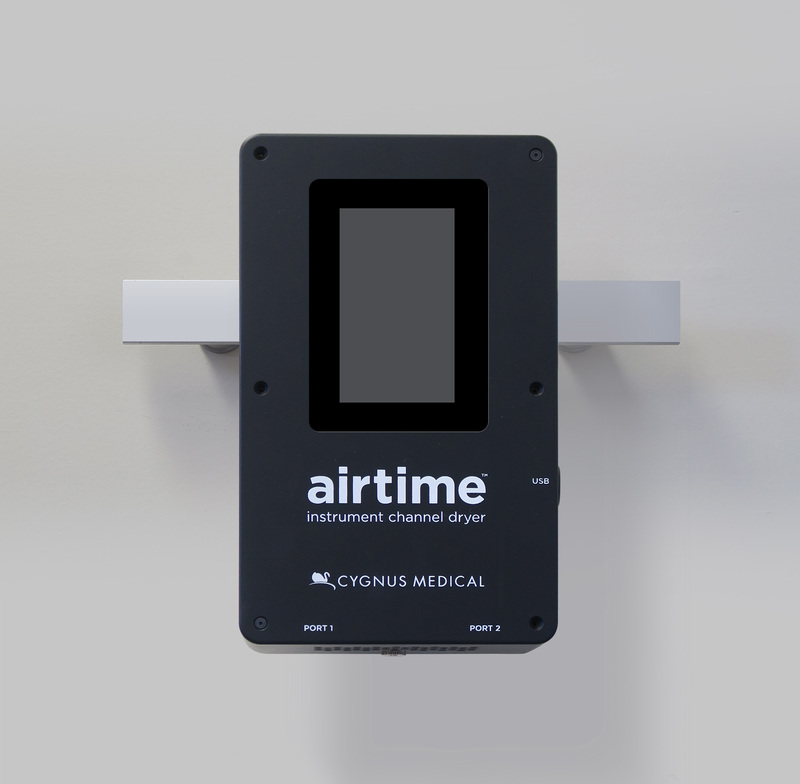 12" Wall Rail Installation System (WRC100), use to mount one Airtime Control Unit. 1 mounting bracket and 1 IV pole.